There’s nothing unusual about female ski instructors. And women in resort human resources, marketing, communications, and sales? Common as dirt. But women general managers are a somewhat rarer breed. According to statistics from the National Ski Areas Association [NSAA], there are only about 20 to 30 nationwide. It’s more or less a boys’ club. All this is about to change. Because starting in January, the boys’ club will have a woman in charge. 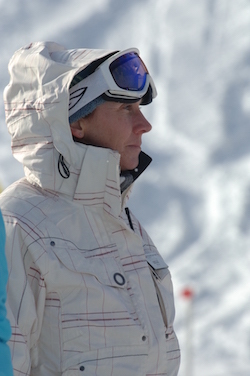 Kelly Pawlak, GM of Mount Snow, VT, will become NSAA’s first female President and CEO. NSAA represents 313 alpine ski resorts that count for more than 90 percent of the skier/snowboard visits nationwide, as well as 414 supplier members who provide equipment, goods, and services to the mountain resort industry. That’s a pretty big responsibility. According to its website, NSAA’s primary objective is to meet the needs of ski area owners and operators nationwide and to foster, stimulate, and promote growth in the industry. 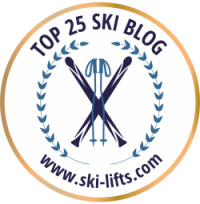 To do this, it analyzes and distributes ski industry statistics; produces annual conferences and tradeshows; produces a bimonthly industry publication; and is active in state and federal government affairs. It also provides educational programs and employee training materials on industry issues including OSHA, ADA and NEPA regulations and compliance; environmental laws and regulations; state regulatory requirements; aerial tramway safety; and resort operations and guest services. I recently spoke to Kelly about her new position. SD: You’ve been in the ski industry for a long time. How’d you get started? KP: Quite honestly, it was sort of by accident. 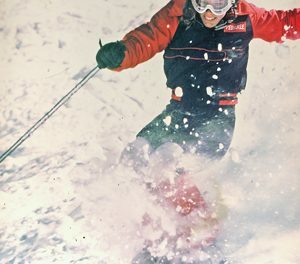 When I graduated from college, I realized that if I wanted to ski, I’d have to pay for it, myself. My dad wouldn’t do it anymore. So I looked for a job, found one at Mount Snow, and never left. SD: You really came up the ranks, too. I understand you held a variety of positions, correct? KP: Yes, I’ve been there since 1985, and I’ve worked in marketing, sales, operations, events…pretty much everything. SD: So how has this has helped prepare you for your position at NSAA? KP: Well, I think it helps me understand some of the needs of the 300-plus member ski areas. Clearly, my expertise is not very strong in the west and midwest, so I have a lot of learning to do there. Luckily, I’m not alone. There’s an extremely qualified staff of about 12 people behind me, so I’m confident that with their assistance, and talking with the folks at the ski areas, retailers, and suppliers, I’ll be a quick study. SD: Women GM’s are few and far between, and you’re the first female president of NSAA. What are your thoughts on that? Why aren’t there more female execs in the ski industry? KP: There are more and more women every year. Certainly there aren’t as many as men. But it’s a demanding schedule and it’s a woman’s choice to decide whether or not she wants that lifestyle. I often joke and say that most of my women friends who work in the industry are too smart to take a position like mine because they know the hours I work. I was lucky – I was able to work it out with my husband so I could do this job. He put his career on the back burner for me, and I’m grateful for that. SD: There are a number of issues facing ski areas today. 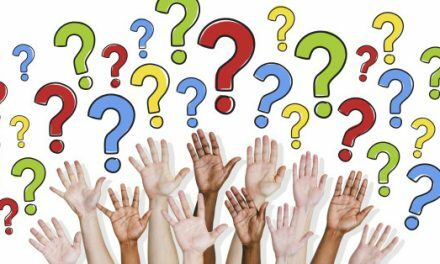 Off the top of your head, what do you think are the biggest challenges and which do you think you’ll be addressing right away? KP: The biggest issues are already being addressed by NSAA, but I have two that interest me the most. The first is getting enough people to fill the jobs at ski areas and ski towns. As you know, the hospitality business requires a lot of people to get the job done; it’s not as automated as some other industries, so finding staff is difficult. KP: Exactly. We’re trying to make our legislators understand that if we could fill all the positions with domestic staff, we would, but it’s just not possible. So we support the international staff members. The other challenge – and we’ve been working on this for years – is bringing new skiers into the sport and retaining them, once they try it. I think this is an area where we need a lot more discovery. We’re going to have to try some new things. Skiing is an amazing opportunity for people and once you’ve tried it and had an enjoyable experience, you’ll want to do it for life. We have to discover what those hurdles are and break them down and make it easy for folks to ski. There’s more work that needs to be done and we’re going to have to be a bit more innovative. 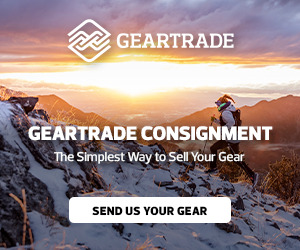 SD: How do you feel about all the consolidations that have been going on in the ski industry? KP: There are pros and cons, depending on where you are and who you are. It’s not black and white; it’s gray. At Mount Snow, I’ve been part of three different ownerships and each one brought different benefits to the resort. A lot of times when a ski resort changes hands it really motivates other resorts in that demographic to try new things. I know that for Peak Resorts, which owns Mount Snow, buying Hunter Mountain was a really good move because we were able to connect all of our ski areas, so now our skiers could buy our Peak Pass and ski the Poconos, Hunter, and Mount Snow. So in that case, it was excellent for our portfolio. SD: Consolidations can also make it difficult for the smaller resorts to compete. What can NSAA do to support them? 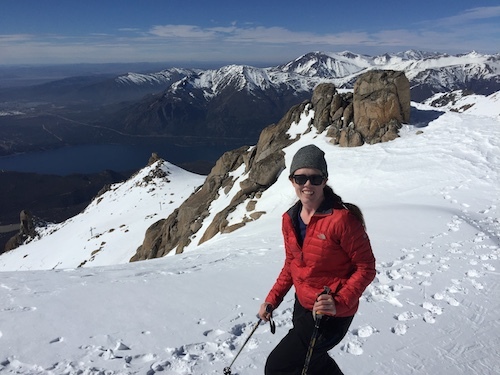 KP: Besides working with the larger areas, part of my new job will be visiting some of the smaller ski companies so I can better understand their challenges. 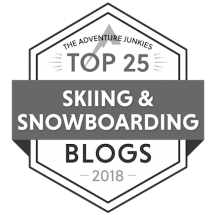 It’s important to address their needs just as much as the larger ski areas. SD: I know climate change is another major challenge. That has to be high on your agenda right now, too. KP: Yes. Again, NSAA has been working on this for many years. There isn’t a ski resort that isn’t focused on sustainability. NSAA is great about sharing knowledge, so every time we can learn about a resort that’s lowering their kilowatt hours or reducing their dependence on diesel air compressors, we share that throughout the industry. What helps one helps us all. SD: And it seems that so many of them are working on becoming four season resorts, too. KP: Absolutely. The ski industry is becoming so versatile. We have resorts that do better in the summer than in the winter. SD: On a personal note, you’ve been living in Vermont for a long time. I suppose you’ll be moving to Colorado now? You’ll have to trade your ice skis in for powder skis. KP: Exactly! I’m going to have to take some lessons and learn how to ski powder. I’m looking forward to that. But this position does have quite a bit of travel involved, so I still plan to come back east to ski. This time, however, I’ll be a guest so I can do all the things I couldn’t do when I was focused on providing the guest experience at Mount Snow. I’m looking forward to that.